The excellent Toyota GT86 has had new models added to the line-up and a lower entry price to entice buyers. Toyota has lowered the engine point for the range, the GT86 Primo by more than £2,000 to just under £23,000. The firm is also throwing in an introductory offer of another £500 saving, for a limited period on its Primo version to make an impressive £2,500 saving. Launched in 2012, the Toyota GT86 has won admirers for its high levels of performance and this is its biggest revamp since being unveiled. Toyota is quick to reassure fans that the fundamental performance and excellent levels of handling have not been touched – it is still one of the best cars to enjoy. Indeed, all versions of the GT86 retain rear wheel drive and the firm’s 2.0litre ‘boxer’ engine. The excellent chassis has a centre of gravity that is very low which means its cornering abilities are very impressive. New kit includes a tyre pressure warning system and a shark fin roof antenna. Inside the instrument panel has a carbon fibre-effect finish to it. The Primo is the entry model which comes with aluminium sports pedals, twin tail pipes, air con and the firm’s ‘Touch’ multi-media system. There’s also a limited slip differential to help with cornering at speed. The entry model only comes with a manual gearbox only and can be ordered now with deliveries from early next year. The heart of the Toyota GT86 range is still the classic model which features keyless entry, cruise control, rear spoiler, push button start and dual zone climate control. The new models include the Toyota GT86 Aero which has a new body kit which includes a large rear spoiler and skirts. There’s also a special edition, the Giallo, which comes with heated black leather seats, special decals and yellow metallic paintwork. 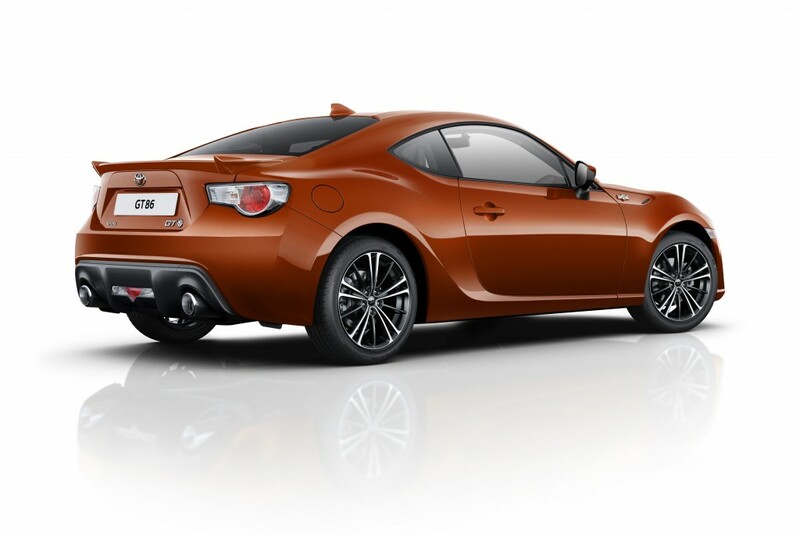 This entry was posted in Car Leasing, Cars, Performance Car, Sports Car and tagged lease the Toyota GT86, toyota, Toyota GT86 by Steve Lumley. Bookmark the permalink.